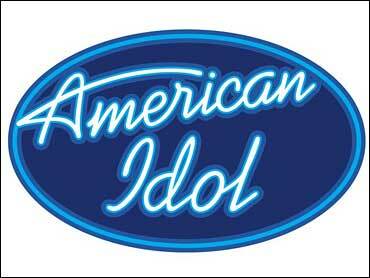 "American Idol" finalists channeled their inner rock stars Tuesday. The result? Some shined, some stumbled. And some things just tumbled. The remaining four singers were paired up to perform duets along with their solos on the rock-themed show. But before the live telecast even began, they suffered a setback of sorts when a pair of mishaps - including a stage manager's injury and the collapse of one of "Idol" towers flanking the stage - slashed the finalists' chance to have a proper run-through. Fox publicist Jill Hudson referred inquiries to on-air comments by host Ryan Seacrest, who opened the show by saying: "We have had an unconventional day ... unfortunately we had an accident earlier here on our stage, but it didn't end there." Seacrest then pointed out the askew tower, saying that immediately after the "accident," the structure "started to collapse, just a few moments before dress rehearsal. Glass was popping everywhere." It wasn't immediately clear whether the tower collapse had anything to do with the crew member's injury. Fox didn't name the crew member, but said she had a mishap during rehearsal "and was immediately taken to the hospital as a precautionary measure." Seacrest again revealed a little more on his Twitter page, saying that the stage manager, whom he referred to only as "Debbie," fell during rehearsal and was "doing much better." Fox didn't immediately respond to requests for further details. One thing that didn't fall down Tuesday: the pairing of Adam Lambert and Allison Iraheta (who copped to tapping Lambert's hairstylist for her strikingly improved rocker 'do). "In the battle of the duets, you win the show tonight," Simon Cowell declared after the duo's electric rendition of the Foghat classic "Slow Ride." Cowell said Lambert might have given his 17-year-old duet partner a chance to stay in the competition. The 27-year-old theater actor hugged Iraheta, saying: "This is like my little sister, kinda." Danny Gokey and Kris Allen performed "Renegade" by Styx. Randy Jackson and Kara DioGuardi enjoyed their harmonizing; Cowell, judging them individually, said Gokey bested Allen, who seemed overshadowed by the song. Cowell saved harsher jabs for Allen's solo performance. The Arkansas heartthrob sang the Beatles' "Come Together," and Cowell compared his cover to "eating ice for lunch." Meaning, it leaves "you with nothing to remember afterward," he said. Allen - who's more Jason Mraz than Axl Rose - appears much more at home playing acoustic guitar on the "Idol" stage than he did jamming with guest mentor Slash at the Roxy in Los Angeles. Meanwhile, Lambert one-upped his competitors yet again. DioGuardi crowned Lambert a "rock god" following his rousing rendition of Led Zeppelin's "Whole Lotta Love" that showed off his signature banshee howl. "The problem is, nobody can top that now," Cowell said. The judges mostly agreed that Iraheta should have picked another song besides Janice Joplin's "Cry Baby." The singing prodigy explained that another Joplin classic, "Piece of My Heart," had been done before and she was really feeling "Cry Baby." A goofy grin on her face, Iraheta playfully needled Cowell: "You're always saying I don't talk enough, so maybe I should just talk a lot!" Gokey, 28, of Milwaukee, also defended his performance. He stepped out of his soft pop-soul comfort zone to perform "Dream On" by Aerosmith. While Jackson gave his rendition an "A-plus for valiant effort," Cowell said Gokey's final note "was like watching a horror movie." "I don't think it was as bad as they said it was," Gokey said before halfheartedly conceding: "I'll try better next time." Gokey and the rest of the finalists will discover their fate on Wednesday's results show, and the two-part finale is just two weeks away.